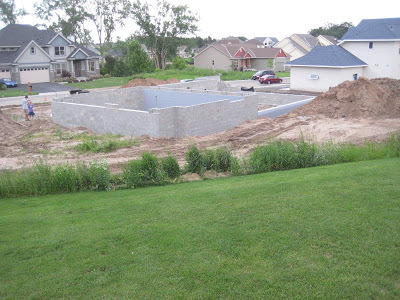 These photos may not look like much, other than some cement blocks, technically called the footings, which you can’t see, and the foundation, which you can see. Next week, the framing will begin. 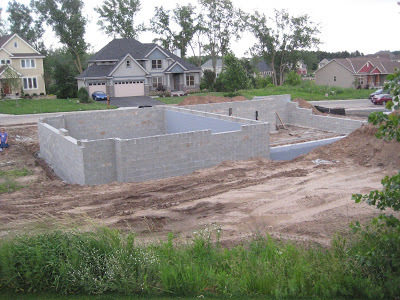 To get a visual of what framing is, just look at the house (third from right) that is behind our foundation, in the photo above. Other than our building project, our summer-y days have been fairly simple. We haven’t been doing too much, other than hanging out, crafting, doing workbook pages, swimming, reading lots of books, and going out for ice cream. One of the blessings of living in a rented townhouse is that we have no house projects, nothing that we have to fix or do. This frees up a lot of time for us to spend together. It’ll probably be the only summer that is like this. And although the cramped quarters can drive us all a little crazy from time to time, we are trying to savor the simplicity, easy living and togetherness. It is a beautiful thing to NOT have house projects. Enjoy it while it lasts & have a relaxing summer. Coming from someone who can truly appreciate the process of building a house (we built ours mostly ourselves 8 yrs. ago and helped our nephew build his last summer), that is very good progress!! Brings back memories. Just wait until the house is framed and your little ones are playing in the sawdust, picking up discarded saw blades and cigarette butts. Really, though it is so exciting, but I have to warn you that no matter how many square feet you live in, little ones will still be underfoot and no matter how matter how many bathrooms you have, all the kids will fight over the closest one! 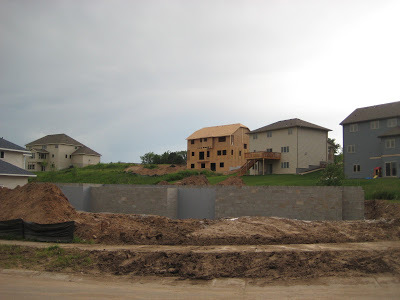 I can remember a time like this 11 years ago when we built our house. 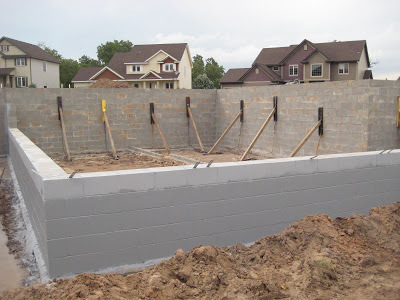 We used to drive over almost everyday and I would throw a picnic blanket on the roof of my car and hoist my then 2 year old up there so he could watch the cement truck pour the basement or the frame go up. 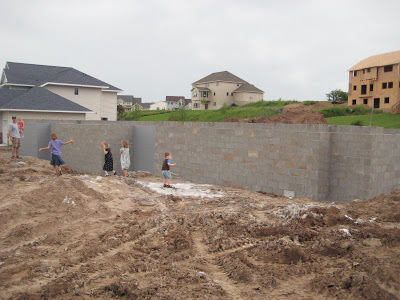 Construction was so exciting for the kids, and we all have a kid inside us, right? Take lots of pics like this and enjoy. It'll be so fun to look back at them years from now and see the changes.